Your body is constantly being challenged by internal and external stressors. Often we think of stress as a bad thing when in fact it can be a very natural response to certain circumstances such as exercise and intense mental focus. Looking at your individual needs and supporting your health can support both the positive and negative effects of stress. You have often heard that stress was vital for our cavemen ancestors to escape danger, and it is true a certain amount of stress and anxiety is good for motivating us. However, coping with the modern-day pressures and speed of life cause many people to feel chronic stress and this kind of stress leads to unhealthy feelings such as anger, fear, excitement or frustration. Unfortunately, chemical substances such as coffee, tea, cigarettes, refined sugar, alcohol and salt further compound this problem as they cause our bodies to produce similar stress hormones. What happens in our body when we feel stressed? Heart rate, breathing and blood pressure increase to deliver oxygen to cells in order to burn glucose to be used as fuel for energy. What effect does too much stress long term have on us? Long term problems include increased risk of heart disease, diabetes, arthritis and cancer. Supporting certain tissues may help you maintain the ability to cope with stress successfully. These tissues are very dependent on nutrition and the correct balance of nutrients. Supporting these tissues can promote energy, vitality and stress management. Alongside this, HeartMath is another tool I often use to teach people techniques to help them build resilience to stress. 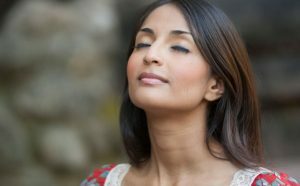 The beauty of it is that it is incredibly simple yet capable of prompting long-lasting shifts in attitudes, mental states and emotional wellbeing. You can read more about it here. 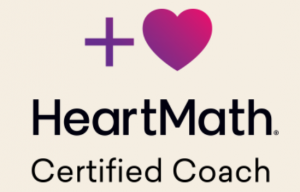 Contact Emma to find out more about HeartMath in your consultations.